Hello , I have this antivirus warning . I just downloaded from Mr.eXodia ' github . What is wrong or antivirus ' mistake ? It's 100% a false-positive (programs installing services are dangerous, because they could install rootkits). If you don't trust the file, you can compile it yourself (the source is available). TitanHide doesnot support multiple hide ? I need to hide debugger for 2 processes. @kgh0701: You can use TitanHideGUI to hide the debugger from any PID you want. download links are shared in "Download repository" link I build? if you do from the beginning, if possible, installation and video settings way to stop talking about it you know? hi can made one simple videoooo? probably because you didn't read the instructions correctly. it is also recommended to disable your AV completely. I have Windows 8.1 Enterprise 64-bit (6.3, Build 9600) installed on my workstation machine (Dell Precision M4700 with Intel Core i7-3740QM CPU @ 2.70GHz (8 CPUs) & 32.0 GB of RAM) & I have PATCHED its KERNEL to DISABLE PatchGuard and Signed Driver Enforcement using KPP-Destroyer-P4 tool (take a look HERE about the tool), & HERE is its latest version made by how02, & take a look HERE for how the tool works. I have followed all the steps one by one to install TitanHide. I have Copied "TitanHide.sys" x64 version to "C:\Windows\system32\drivers"
System error 31 has occurred.A device attached to the system is not functioning. What could be the error cause !? i dont think that method will work on latest fully updated win8.1x64. there is pg bypass source code for current win8.1x64 but it's not distro'd as easy to use binary. i'd recomend recompiling driver and sign it w/test sig, enable test sign mode, then use fyyre pg disable method on older win8.1 x64 or switch to win8/7. Yea.. it's also possible to go in debug mode, this way patchguard should be fully disabled as well. 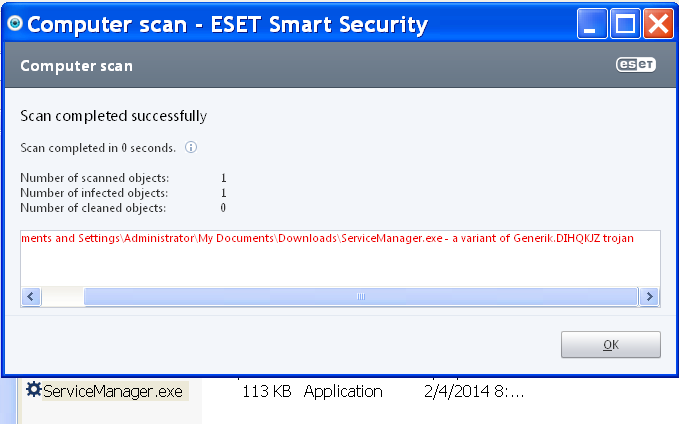 Fyyre doesn't work with newer UEFI systems (without re-signing the winload.exe, which is lot of a hassle). I still gotta test this on Windows 10 lol, but I think it's not gonna work. Indeed, my Windows 8.1 x64 OS is fully updated. I will try the debug mode to see if PatchGuard will be fully disabled or not ! If not, I think I will give-up, and go for "Windows XP SP3 x86" on VMware Workstation. I try last week to use your driver under XP SP3 and all time it reset my PC. I will look tomorrow because they are at the office PC. In c:\WINDOWS\Minidump\ is no file. My PC was resetted (power off and on again like you press the reset button) not BSOD so i guess is kinda a protection feature of the PC (software or hardware???) that have been triggeder by the driver, not a BSOD exception. I will try with your latest version and i will report back.